Note: K&N Drop-in Air Filter for Genesis 3.8L V6 (p/n: 33-2427) is for Sedan only. 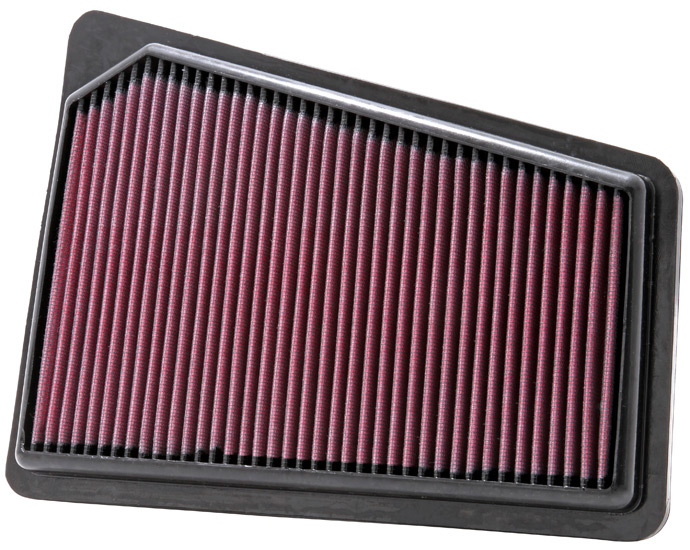 The K&N Drop-in Filter provides better performance and gas mileage on the Hyundai Genesis 3.8L V6 Sedan. When it comes time to replace the air filter on your Hyundai Genesis 3.8 Sedan, upgrade to the K&N Drop-in Filter for maximum airflow that will last a lifetime. The K&N Drop-in Filter for Genesis 3.8 was designed to be a direct OEM replacement so installation is really simple, and will only take a few minutes of your time. The cotton gauze filter elements used in the K&N air filter was specially engineered to maximize airflow that will last a lifetime. The K&N Drop-in Filter is guaranteed to last a lifetime since the air filter elements are washable and reusable. This will save you money since you will never have to buy another replacement air filter ever again. Basic hand tools may be required for installation.